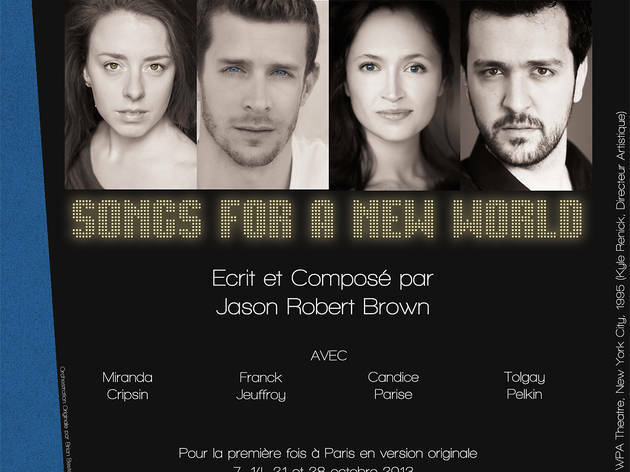 Amidst all those inscrutable French plays and Francophone adaptations of Broadway classics, Paris's theatres occasionally throw a bone to the expat community. 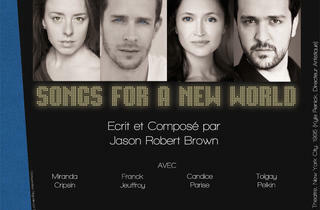 If you want your dose of English-speaking musical theatre this Autumn, you could do worse than American Musical Theater’s production of 'Songs for a New World', written by composer Jason Robert Brown. After a successful run debuting Brown’s 'The Last Five Years' earlier this summer in Paris, AMT is back to showcase more of his smooth pop-rock stylings. The show is somewhere between song cycle and musical - there's no real plotline or consistent characterization - but you can count on love, loss and anguish over the human condition all to feature. What more could you need?